Mods/Notes: I only did one strap because I didn't have enough yarn for two. Also, this pattern is fabulous and is extremely addictive. I think these might be my favorite of the bunch. Mods/Notes: Nada. Also a very fun little pattern. The above and the below were made for my fantastic cousin, who now not only has a two toddlers under the age of 4, but also newborn twin girls! It can't be easy, but seriously, the older two are so sweet and well-behaved that I bet they're already changing diapers and offering to help their mother. To begin, I cast on 16 sts rather than 26. Then, wherever the pattern said “k11” in the first section, I knit 6. In shaping the instep, I knit 24 instead of 29 in row 1, then knit 16 instead of 21 in row 16. 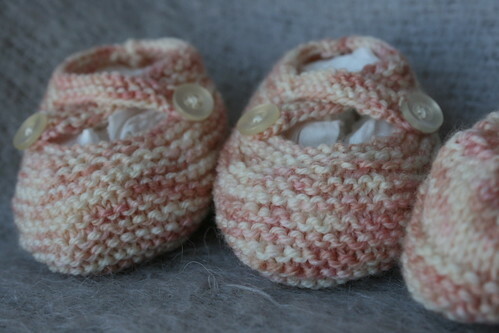 I just love the idea of knitted baby Ugg booties. I love these - every pair. 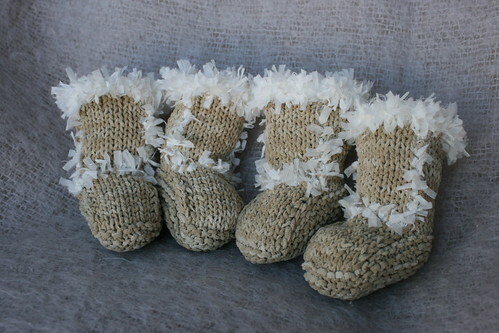 My sister is pregnant - and if she finds out there is a boy in there - I gotta make some Ugg boots for the little fellow! So cute, so cute! 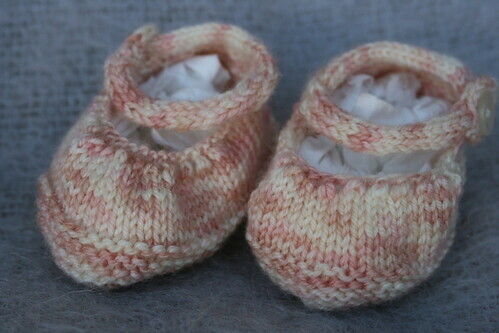 I wish I had more babies to knit for. I love booties! Adorable! And you're so prolific too! Stop! These are too cute! I'm particularly fond of the green/blue/brown booties. I really like the mods and color combo. Well done! Thank you SO much! They are seriously cute, especially in person. I can't wait to get pictures of the girls in them... stupid summer heat. Could you come talk to W and CB and tell them that they should be as sweet and well behaved as you make them sound? LOL! AHHHH! Almost makes me want to have another baby-almost:) They are adorable. those are so sweet! i love those boots! every single pair turned out so cute -- so cute! 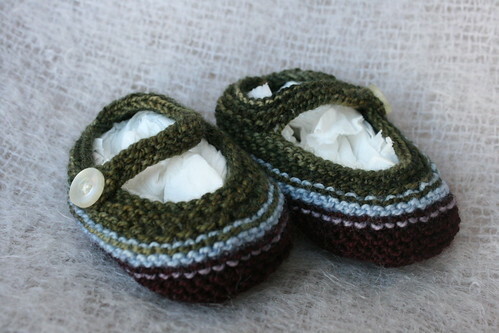 i finally sent out my pairs of tiny shoes to my sister-in-law's sister. These are all sooooo cute!! okay.. they are all so darn cute! but the suede booties! LOVE!!!!!!! I love the colors inthe first pic! And the suede booties are sooo cute- they've been on my list forever! Here comes fall and my baby is getting bigger, I'd better get knitting! Just darling! I esp. love the top pair of Saartje's booties -- great, unique color combo. What a fun pattern to knit. over the moon for those! 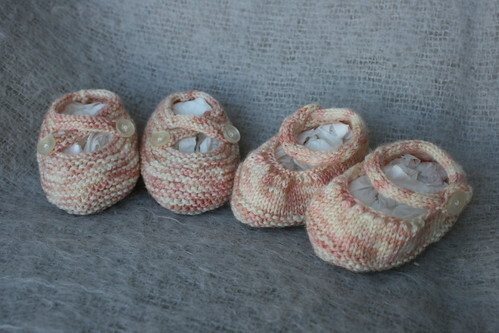 i just need to have someone have a baby to make a pair, or two or ten!